The key factor that drives customers to your website is the selection and usage of the right keywords. In the following illustration, we'll use the example of a website law firm. 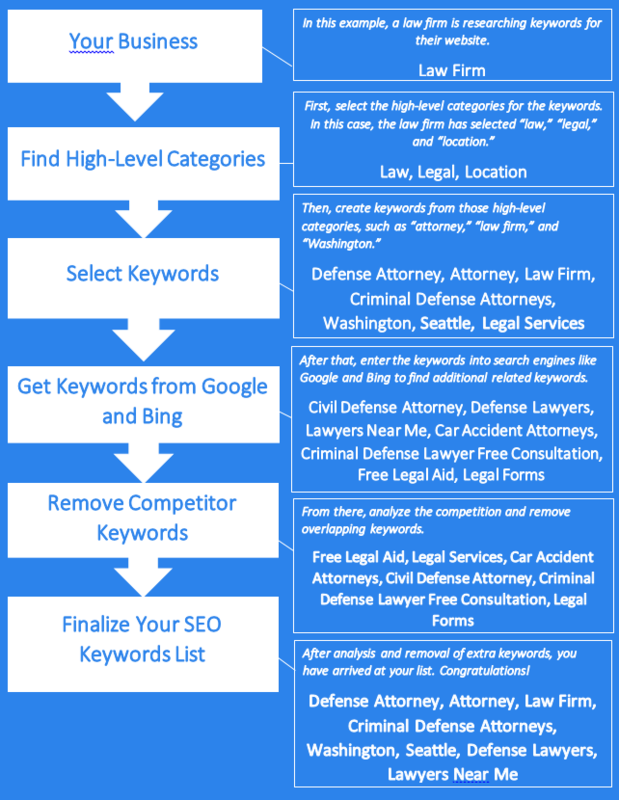 Then, we'll walk you through from beginning to end on how we selected our SEO keywords to use for content in the law site. How Do I Apply SEO Keywords to My Website Copy? What Are SEO Keywords and Why Are They Important to My Website?